Latest great piece by Richard Corbridge, see more by him here. 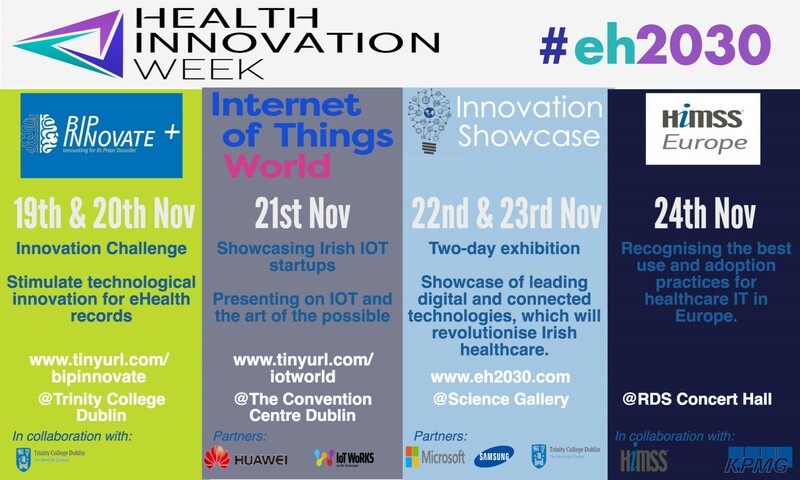 The health system of Ireland is about to hold its first ever innovation week. So many other parts of the technology and digital industry are moving towards a reference to disruption as much as innovation. This got us thinking about what the word disruption means in our digitally focused area, after all the public sector is perceived to be always a little further behind the Silicon Valley curve of change adoption. Is disruption in the public sector the wrong word? Let’s face it if you were described by a teacher as disrupting the class at school you were not about to get a pat on the back from your Mum and Dad. To revalue disruption and turn it into a skill could be a leap that the public sector technology functions need to take. Imagine getting an ‘A’ in disruption, my mum would not be so proud, and yet here we are more than 20 years later celebrating the ideas of disruption. Maybe there is a part of the organisational maturity scale that impacts on the use of these different words. Is innovation to technology what disruption is to digital. We are working hard to try to place the delivery of digital solutions as not something based on IT but a route that delivers business change, to me, disruption is what business change can do, maybe innovation is the catalyst for disruption. Forbes magazine, Wired Magazine, New Scientist and Harvard Business Review have all recently celebrated the top number of disrupters globally. But, can digital really disrupt anything without first enabling the technology innovation to happen. Disruption was a negative word until it became ‘cool’ to be an innovator, but the innovation alone will not change the way any of us deliver our core business. We need to first disrupt the market place. The value of disruption is not thinking outside of the box just considering technology but outside that box phrase entirely, maybe the real disrupter is the person able to do the big fish little fish and the cardboard box all at the same time! The move from innovation to disruption in health in Ireland has yet to really happen! And yet we have a cast of speakers at the Innovation showcase that can all stand up and explain how they will disrupt the market place for the delivery of healthcare. It doesn’t matter if the disruption comes from Will Smart (The CIO of the NHS) or Gemma Garvan (The programme head of Access to Information) or the patient voice or indeed the clinician of which there will be plenty present. What matters is that the healthcare system can be disrupted safely, protecting the outcomes of what it does well whilst still achieving new, forward thinking ways of using digital solutions to deliver health and wellbeing for the people of Ireland. Can Disruption become a team sport? The team now moving forward new innovations in health believe it can. Even the innovation showcase itself is arranged by a team of disruptive thinkers, how else could we have an agenda that ranges from augmented reality to an app that helps children to communicate to the science of wearables and quantified self all the way back again to virtual reality healthcare. Enabling a team to be disruptive is another trick in the bag of a modern digital leader. In health in Ireland we have tried to do this in a number of different ways, the eHealth Connect programme and the Health Tech (In conjunction with the NDRC) events to name but two. The eHealth Connect programme enables a direct face to face communications between HSE staff and new innovators, the programme enables a disruptive idea to be understood by the HSE and where it is possible to implement and evaluate it in an agile manner that allows both the health system and the innovator to learn and apply that learning, understanding how to make digital work best for health. The age of a disruptor is here and the physical age of the disruptor doesn’t matter either! The NDRC Health Tech programme was won by Medi Morpho, a new organisation but one led by a sixty six year old engineer and technology enthusiast, let’s face it not the stereotypical Irish disruptor. As the consumerisation not just of technology but of innovative change through digital really becomes the normal expect to see a huge amount more of companies like Medi Morpho, a company with great experience and ideas and the ability to apply lessons already learnt, perfect for healthcare disruptive leadership. Frank Buytendijk a wonderful researcher from the Gartner stables presented last year on three types of people that make up a digital team, evangelists, sceptics and pragmatists. Are disruptors the evangelists in every team? eHealth Ireland is moving towards an evangelist team, the balance has to be right but it really is getting there and with the innovation week it hopes to bolster the numbers of patients and clinicians that are willing to join the disruption journey.